I’ve posted before that there are two kinds of books about writing: those that focus mainly on the craft of writing, and those focused on the act of being a writer. Stephen King’s On Writing: A Memoir of the Craft tilts towards the former but it’s also heavily laced with autobiography. King goes into depth about a writer’s most commonly used tools: vocabulary, grammar and paragraph. 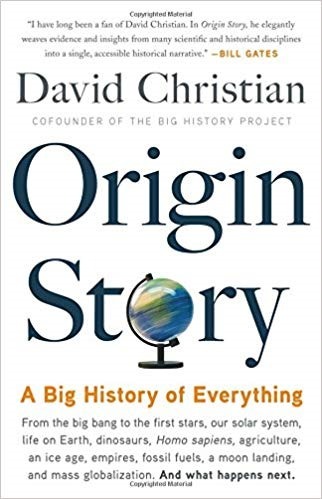 He talks about the three most important elements of fiction writing: narrative which drives the story forward, description which gives sensory impressions to the reader, and dialog which brings characters to life. Even though I don’t write fiction, I found lots in the book that applies to non-fiction too. Good writing is good writing. He also touches on what it’s like to be a writer. He says the first key to success as a writer is to read a lot and write a lot. There are no shortcuts. He aims to write about 2000 words or 10 pages every day. A confession: I’ve never read any of Stephen King’s books nor seen any of the movies based on them. Call me a coward, but I don’t like horror. Not being a King fan, I wasn’t all that interested in the autobiographical sections of the book. If you are a fan, you’ll learn plenty about his life and the origin of some of his stories. I don’t know if this is true of his fiction, but in On Writing King writes in an incredibly natural voice. It’s relaxed and informal yet clear and passionate. You could imagine yourself sitting beside him on the porch of his house in Maine (assuming it has a porch) just listening to him talk for hours about writing as if he was reminiscing about his childhood, which he also does in this book. It reads so easy, but of course that’s a sign of true mastery. The Narrow Road to the Deep North is brilliantly written and utterly harrowing. During World War II, an estimated 200,000 Asian civilian laborers and 60,000 Allied prisoners of war were used as forced labor by the Japanese Imperial Army to build a 415 km railway linking Bangkok, Thailand and Rangoon, Burma (now Myanmar). About 60,000 civilians and over 12,000 Allied POWs died during construction of the Thai-Burma Railway, also known as the Death Railway. The movie Bridge on the River Kwai is loosely based around these events. Among the POWs forced to work on the railway were about 13,000 Australians, of whom more than 2,700 died. The Narrow Road to the Deep North tells the life story of Dorrigo Evans, an Australian Army doctor, the senior officer among a group of Australian POWs, who tries to care for his men under brutal conditions. 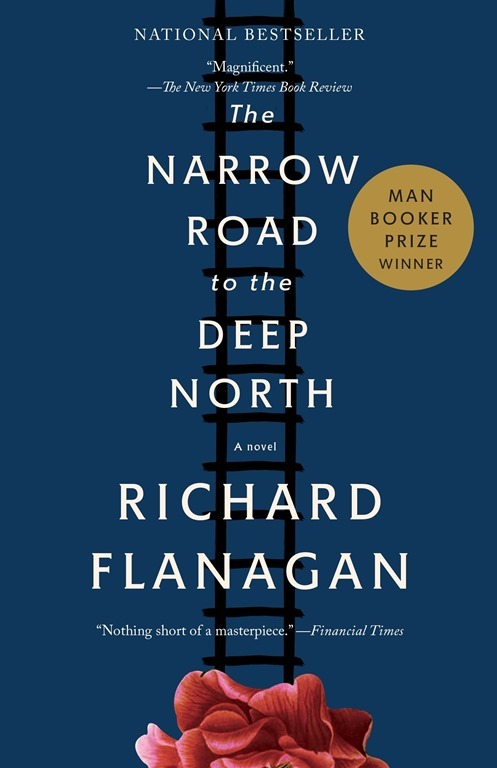 While the POW experience forms the heart of the novel, Richard Flanagan shows how even the survivors are profoundly damaged by war. Dorrigo Evans’ life in particular seems to be battered by malevolent random forces and missed opportunities. Flanagan’s writing is extraordinarily powerful, especially in the imagery he uses to portray the suffering and the deaths of the POWs. The novel takes its title from a book of the same name by the 17th Century Japanese haiku poet Basho. That book describes in prose and poetry Basho’s 2,500 km journey on foot from Tokyo to Tohoku in the northeast corner of the main island of Honshu. It’s essentially travelogue. There’s bitter, and I assume deliberate, irony in using the title of that book, an important work of Japanese literature, as the title of a novel depicting prisoners of war forced to build a road for their Japanese captors. I’m not doing this book justice at all. It’s complex and deep, and probably needs several readings to be fully appreciated. It’s forceful and compelling and definitely worth reading, but it’s also dark and tragic and not for everyone. During a lunchroom conversation at work the other day, a colleague asked how you can lead without authority. How can you be an effective leader without having the formal or positional authority of a VP, director or manger? It’s a great question. I want to give a fuller answer here than my impromptu thoughts at the time. In my role as a technical program manager at a Seattle-area ecommerce company (no, not that one), just about everything I do is accomplished without formal authority. I’ve been both a manager and an individual contributor over the years so I hope I can offer some useful perspective whether your job requires you to lead without authority or whether you’re just looking for ways to broaden your influence in your organization. There’s a massive amount of literature about what makes a good leader and I don’t claim to have read more than a tiny fraction of it. One recurring theme though is the distinction between being a manager and a leader. While the best managers are also great leaders, great leaders don’t have to be managers. I like the term informal leadership for describing leadership without being a manager. So if you’re not a manger but still want to lead or develop leadership skills, what can you do? Staffing activities like hiring, firing, rewarding and promoting. Of course these things are important and hugely impactful, but just about everything else leaders do can also be done without formal authority including developing vision and strategy, defining and exemplifying team values, communicating, simplifying, collaborating, coaching, problem solving, etc. As an informal leader, you may not control these things or have the final say, but you can contribute to and often heavily influence them. That’s because managers, by definition, have to manage existing businesses, workloads and people. They can’t spend too much of their time immersed in detailed technical or operational issues. Software development managers, for example, cannot review every line of code or design change. And the Vice President who years ago wrote in C and C++ probably can’t even spell R today. That leaves space for others to step forward and play an informal leadership role. It’s not just an opportunity, it’s a necessity. Teams can’t function properly without informal leaders because managers, the formal leaders, can’t do it all. Okay, so how can you be on effective leader without authority? I think success as an informal leader depends upon three things. Credibility: You need to be knowledgeable, believable and rational for others to take you seriously. The best place to start is the area you’re presently working in, where you already have expertise. You might be a senior engineer or an architect guiding more junior members of your team, for example, or a new hire with relevant prior experience from another company. This knowledge and experience can serve as the foundation for informal leadership. Over time if you build on and broaden that foundation you’ll gain credibility in more areas. Integrity: Most people have little difficulty not being lying, cheating, back-stabbing scoundrels. There are exceptions, of course, and they should be avoided like radioactive waste. But what I’m referring to here is positive integrity, the things you do rather than things you don’t do. This includes treating everyone with respect, assuming positive intent in others even when you disagree, communicating clearly and honestly, giving constructive feedback when necessary, keeping your commitments, listening carefully, and not gossiping about what you hear. Helping others: I think this is really what informal leadership is all about. Helping others, your co-workers and your managers (yes, them too), achieve their goals; recognizing problems, pitfalls and roadblocks; helping to resolve, avoid or remove them; helping everyone on your team to learn and grow. Don’t formal leaders, managers, also need these qualities? Absolutely. But they’re even more important for informal leaders because they don’t have the positional authority that managers do. Perhaps the hardest part about informal leadership is recognizing the opportunities and the needs. Look for gaps and overlaps. Listen for gears grinding and brakes squealing. Then act. Perhaps you notice persistent performance issues in a particular component. Talk to the relevant stakeholders and propose a re-design. Look for opportunities to extend or re-purpose existing system to meet new needs or fix critical problems. How many times did Scotty or Geordi save the day on Star Trek by reconfiguring, rerouting or realigning some part of those absurdly unreliable warp drive engines? Or maybe you see there’s interest in a new approach to data modeling or machine learning. Try putting together an informal study group to learn about it, the way Hermione Granger organized a Defense Against the Dark Arts group in Harry Potter and the Order of the Phoenix (book, movie). It’s not always technical, and it’s not always work-related either. Sometimes what a team needs most is a social convener like the character Elizabeth McKenna in The Guernsey Literary and Potato Peel Pie Society (book, movie). She led by recognizing the need for connection and companionship among her neighbors living under German occupation. She also showed tremendous courage and moral leadership. I can’t promise that informal leadership will necessarily get you your next promotion, or that it will automatically put you on a path to a management position with formal authority. But I’m certain you’ll be better for it, and so will everyone you work with. 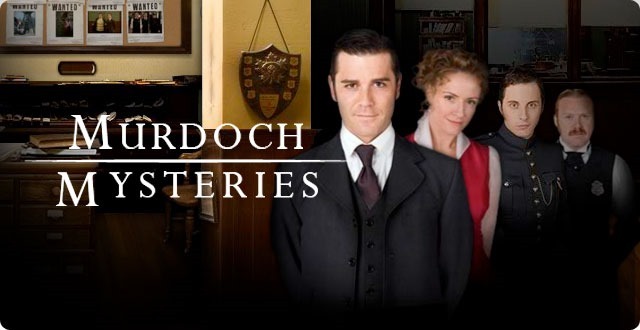 A while ago I was watching an episode of Murdoch Mysteries, a detective series set in Toronto in the late 1890’s. At the end of the episode our hero, Detective William Murdoch, says goodbye to the visiting Egyptologist who was a central figure in the story. From the way the scene was acted, it struck me that both characters expected never to meet again. Their parting was final. And back in the 1890’s that would have been the norm. In fact, as recently as 20 years ago, if you went to school with someone or worked with them for a time or met them on a trip or at a conference, saying goodbye usually was final. Graduations, job changes and vacation endings were bittersweet precisely because they were endings. Sure there were always a few people we grew exceptionally close to. For those special people, keeping in touch required work, conscious effort like writing letters, sending post cards or making the occasional long distance phone call which used to cost real money. But for the most part people passed in and out of our lives all the time. Today, by default, we stay connected to everyone forever. When people change jobs or cities or move out of regular daily contact, they linger on in our lives as Facebook friends, LinkedIn connections or Instagram followers. Years go by and we continue to see them in our feeds, posting about their kids growing up or their new job or their latest vacation. We see their cat photos. While they might recede into the digital background of our lives, they don’t fade away entirely. There’s never a final parting. Now it takes conscious effort to disconnect from someone. To sever the relationship you have to unfriend or unfollow or block them. You’re explicitly rejecting them, expelling them from your life. It feels a little uncomfortable, even a little anti-social. So you find a reason, a justification, something more than just decluttering your contact list, like discovering the person is rabidly pro-Trump or anti-vaccination. In fact the main disadvantage of all this persistent connection is that it can be very hard to completely purge undesirable people from your life. But usually the advantages of staying in touch forever outweigh the disadvantages. Social media and other internet technologies enable us to maintain relationships despite distance and circumstance. The corollary is that they help us avoid the pain of parting. They hold out the tantalizing possibility of reunion. And it’s not just the internet. Reliable air travel helps too. Two hundred years ago, if you left the country of your birth to make a new life in a new land, chances are you would never see your parents, siblings, or neighbors again. A wrenching final goodbye! Now you can just hop on a plane and visit each other. And between visits you can Skype, Facetime, text or email. Nowadays we don’t even say goodbye in our online conversations. There’s just a longer gap between messages. A particular conversation might run its course, peter out into an exchange of smileys or thumbs-up emoji’s, but there’s no way to “hang up” at the end of a text message or Messenger conversation. The medium is asynchronous, so a gap of a few minutes or a couple of hours is normal. A gap of a few weeks or months isn’t unusual either, it’s just a longer gap. It’s not the end. It’s not goodbye. The pain of parting seems to be so terrible that we go to great lengths to avoid it. Is that because it reminds us of the Final Parting that awaits us all? Or is it because we crave connection in a world where we’ve become increasingly isolated, as Harvard Professor Robert Putnam has famously documented in his book Bowling Alone? Whatever the reason, technology helps us reduce that pain, though it can’t completely eliminate it, of course. The truth is we still feel what Shakespeare called the “sweet sorrow” of parting even if we remain connected online. But how real are relationships that exist only online? Can you actually have a meaningful connection when all your interactions are mediated through devices and text? Or are they just zombie relationships that we can’t bring ourselves to terminate? As I see it, the time and energy we devote to these relationships is a strong signal of their continuing importance in our lives. Our interactions may not be as rich or as frequent, but just because they’re online doesn’t mean they aren’t real. I think this perpetual connection is overwhelmingly a good thing. Instead of a binary on/off state, our relationships now exist along a continuum of connectivity. At one end are the people we see every day in the physical world; our family, co-workers and close friends. In fact, the vast majority of our online communication is with these people, the ones we’re already closest to. Next come people we don’t see often; former classmates or colleagues or distant relatives, followed by people we don’t see at all anymore. We stay in touch with them online, keeping up to date about their kids, their jobs and their vacations. If we do meet again, at family or college reunions or on trips to cities where old friends now live, re-connecting is easier and more natural. We can slide back along that continuum, reestablishing in-person contact. The continuum works the other way too. Increasingly we encounter people online first and only later meet face to face to break bread and exchange pheromones. As technology continues to advance, online communication will get easier, richer and more pervasive. We’ll be able not just to hear and see each other, but also to share immersive experiences using virtual or augmented reality, holographic imaging, wall-sized displays and other yet-to-be-invented technologies. Today’s online games, where people connect over the internet to fight battles or go on quests together provide a glimpse of the possibilities. We could become more insular. Some people might want to stay tightly connected to the communities where they were born or went to school. Don’t want to leave the warm embrace of your village or your circle of friends? Take them with you! Wherever you go, whether it’s on the other side of town or the other side of the planet. If you want, you’ll be able to live your entire life inside a comfortable bubble, never saying goodbye to anyone, and never admitting anyone new either. On the other hand, we could become more open, choosing to explore broadly, looking for potential friends or mates from all over the world and enjoying a wide variety of activities online before deciding to move up the continuum and get together in person. Online dating is an early indication of this trend as The Economist magazine points out in this article, Modern Love. The choice will be ours. Either way, technology enriches our relationships with the people we see every day, the people we just met and the people we might never see again. And it reduces the pain of loss when someone leaves our life because we never have to say goodbye. A warrior woman comes to the city of Qannaq in a small skiff accompanied by an orca and a polar bear. Who is she? Why has she come? What’s her plan? That’s the hook that pulls you into Blackfish City by Sam J. Miller. Miller writes science fiction and horror stories, mostly for young adults. He’s been nominated for numerous honors including the Nebula and Theodore Sturgeon awards. Blackfish City is his first novel for a general audience. At some unspecified point in the future, most of the world’s cities have either been flooded or burned as a result of climate change. Horrific slaughter has occurred as humans try to build, flee to, and survive in new cities designed for Earth’s changed environment. Qannaq is one such place: a floating city in the shape of an eight-armed asterisk, anchored above a geothermal heat vent in the Arctic Ocean east of Greenland and north of Iceland. It is home to about a million people, mainly immigrants and refugees who have come with nothing but their stories. 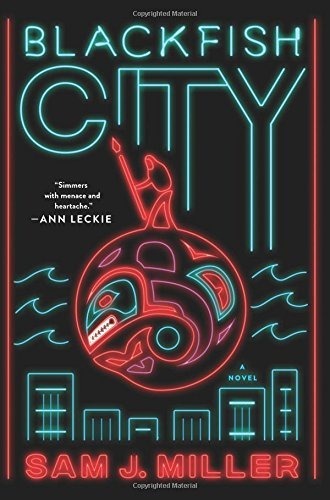 Blackfish City tells the story of a family ripped apart by catastrophe and genocide yet bound to each other by love and other rather more mysterious forces. The story is told mainly from the perspective of four characters who seem completely unrelated at first. Pretty soon their connections are revealed as the story line propels them together in a deadly struggle with the shadowy figures who control Qannaq. The narrative skips from one character to another with each chapter. I found this a little confusing at times, possibly because I read the book over a couple of weeks and had to double back once or twice to get re-acquainted with the characters. As with any story involving an ensemble cast, the emphasis is more on plot development than character development. And in fact the story is well-paced and builds to an emphatic climax. Like all good science fiction, Blackfish City reflects aspects of the contemporary world back at us. In this case, controversies around immigration, housing shortages, new diseases and climate change. While I enjoyed the story, I was actually more intrigued by the rich backstory Miller has created. Blackfish City felt very much like the opening episode in what could be a whole series of stories or novels. There’s enough unfinished business at the end of the book, and vast unexplored territory in the backstory to keep Miller busy for years writing prequels and sequels. I’ve no idea if that’s his plan, but I’ll be on the lookout for more. Have you ever had a conversation with someone and they suddenly got defensive? Maybe you were talking with your partner or your child and you brought up some behavior of theirs that you found annoying or troubling. They took it badly. They thought you were being overly critical, that you were always critical. Tempers flared, harsh words were exchanged, doors were slammed. Ever had a conversation with someone and suddenly you got defensive? Maybe you were talking with your boss, perhaps during The Dreaded Annual Performance Review, and you received some feedback that you thought was unfair, unhelpful or just plain unfounded. Screaming and yelling at your boss was out of the question so perhaps you became withdrawn and sullen, gave one-word answers and left the meeting as soon as you could. Ever wish you could have a conversation with someone but didn’t know how to even broach the subject let alone achieve a positive outcome? Perhaps there’s someone you work with who frequently misses deadlines, or takes credit for the work of others, or makes sexist comments. You don’t know what to say, so you say nothing, but inside you’re seething, telling yourself this person is an idiot, a jerk, or both. You can barely stand to be in the same room with them, let alone work together. What all these conversations have in common is that they involve opposing views, high stakes and strong emotions. They are what Kerry Patterson and his co-authors define as crucial conversations. Crucial Conversations, the book, teaches you how to recognize these conversations, plan for them, and successfully manage them to achieve your goals. It presents strategies and skills and many pages of examples in a clear seven step program. I’m going to focus on just two of these seven steps, the two that the authors say are the most important. Detecting the signs of a crucial conversation, while you’re in the middle of one, isn’t easy at first. That’s because what starts as an ordinary conversation can turn crucial in an instant. So you have to learn to participate at two levels. You must monitor both the content of the conversation (what’s being said), and the conditions (how it’s being said and how people are responding). The authors call this “dual-processing.” Others might call it mindfulness. Ray Dalio, in Principles, refers to it as looking down on your personal machine. The idea is to maintain a little detachment so you can look for signs the conversation is becoming crucial. Monitoring the conditions of a conversation means observing how people are responding. Start by checking your own responses. Physical: Do you feel your gut tightening, your jaw clenching? Emotional: Are you starting to get angry, or frightened? Behavioral: Are you pointing your finger, or raising your voice? In others, you need to look for signs of what the authors call “silence or violence”. Is the person you’re speaking with becoming loud and aggressive (violence), or withdrawn and noncommittal (silence)? In both yourself and others, these behaviors are signs of fear. They signal a loss of safety. If people do not feel safe in a conversation, if they fear they might be harmed or rejected, they won’t participate fully. They won’t contribute their ideas or their opinions, and they won’t listen to the ideas or opinions of others. They’ll revert to silence or violence. Establish mutual purpose. To quell the fear of harm, try to identify a mutual purpose. It may be something more abstract or generalized than the subject of the conversation. For example, rather than argue about your partner flirting with other people at a party, you might need to both agree to work on creating a happier relationship. You might not appreciate that your co-worker missed another deadline, but instead of tackling that head-on, you could try to establish a mutual goal such as functioning more smoothly as a team. Establish mutual respect. The authors point out that when people don’t feel respected, safety evaporates. They immediately switch from discussing the original topic to defending their dignity. They’ll become emotional, unreceptive to ideas, almost incapable of hearing any of the content of the conversation until their dignity and respect are restored. And you’ll do the same if it’s you who feels disrespected. To restore respect, you’ll need to step out of the conversation to focus on your similarities rather than on your differences. Apologize: If you’ve made a mistake that has hurt others, apologize. You have to be sincere about this. Insincerity is easily detected and will only exacerbate mistrust. Create mutual purpose. Make it clear you’re committed to finding a mutual purpose. Recognize that the other person has a purpose too. Try to understand what it is. Ask questions to draw it out. Once you understand it, you’re in a better position to work together to come up with a mutual purpose and to address is with new strategies or approaches. Once you’ve restored safety, you can return to the content of the conversation, though of course by now that content may have been re-shaped, hopefully into something more productive. Learning to look and restoring safety are the two cornerstone skills for handling crucial conversations. They, along with the other steps and strategies detailed in the book are designed to help you achieve what you want for yourself, for others, and for your relationships. In general I really appreciate books that give you an organizing framework for thinking about a problem or a subject area. Crucial Conversations certainly does that, plus it provides concrete guidance for how to handle specific and difficult situations at home and at work. I think that makes it very worthwhile reading. 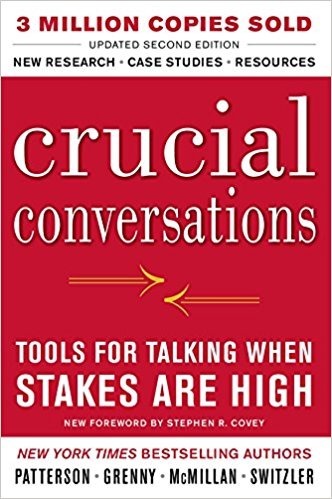 I haven’t put the lessons of Crucial Conversations to use in my own conversations yet, but I have been trying to develop the habit of being a bit more detached just to make space for that dual-processing recommended in the book. We’ll see how it goes. The book has made me reflect on some past conversations though, particularly with my family, when I lost my temper or simply walked out of the room in frustration. I could have used this book years before it was written.